Before you set out on a road trip, vacation or adventure to another state or outside the country, remember that it’s important you have the correct coverage for your vehicle. Whether it’s a motorcycle, truck, RV or car you want to be safe on the highways. Most policies provide coverage in other states, U.S. territories and Canada. U.S. drivers licenses are valid in Canada, as long as you’re just visiting Canada and are a resident of the U.S. Your American auto insurance is also valid for driving visits in Canada. When you cross the border, you just have to produce proof of your auto insurance, which you should always keep with you when driving. Most states and territories have enacted financial responsibility laws requiring drivers to carry a specified amount of automobile insurance to cover losses resulting from ownership or operation of a motor vehicle. If the financial responsibility requirements where you are traveling are higher than you need to consult with an auto insurance agent for meeting the requirements. Most policies do not provide coverage in Mexico, so if you plan to drive your car there, it’s wise to buy that coverage separately. Check your out-of-state coverage before you travel. You can help make the roads safer by preventing yourself from becoming a fatigue-related statistic. Make sure you do get lots of rest and pull over if you feel too tired. Avoid auto insurance premium increases by using good judgment and being reasonable about your body’s limitations. Many renters do not realize they have so much to lose, whether it is personal belongings or financial loss due to legal liability. If you do not already have renters insurance, you may question its importance and the coverage it provides. Check out some common questions and answers below. You might be surprised to learn just how much you risk losing without proper insurance for both your personal liability and your personal belongings. Q: Why would I need a renters insurance policy if my landlord carries insurance? A: The insurance your landlord carries covers the building structure, but does not cover your personal belongings—your furniture, wardrobe, appliances, television—anything that you’ve moved into the building. 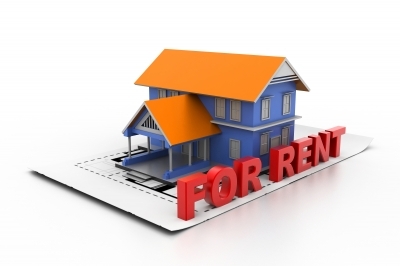 You need a renters policy to cover your personal possessions. A: A covered peril is a cause of loss for which a renters insurance policy will provide protection. Insured losses include theft, fire, smoke, lightning, explosion, riot, vandalism, hail, and water damage from plumbing. Q: What are the odds of my home/apartment/condo being burglarized? A: Chances of a burglary in your home are greater than you think. In fact, a burglary occurs about every ten seconds. According to recent FBI statistics, two of every three burglaries occur in homes, condos, or apartments with an average loss of $1,004 per residence! Q: Renters insurance covers theft in the home. What if I’m held-up while away from my home, or if I’m a pickpocket victim? A: Renters Insurance can provide coverage form theft whether it occurs at home or away from home. This coverage includes protection against loss from robbery, pickpocket theft..Even credit card loss, forged checks or counterfeit money. Q: If my video cassette recorder of stereo were stolen, would my renters insurance provide coverage to buy a new one? A: The Personal Property Replacement Cost Option in a Renters Policy assures you that most of your covered property will be repaired or replaced without deduction for depreciation. For example: if stolen they above mentioned items will be replace with Brand new items. Q: What is the difference between an ACV (actual cash value) and Replacement cost policies? A: ACV policies are cheaper because they take into account the age of the item that is lost or destroyed. For Example: a 5 year old Stereo is stolen. An ACV policy will only reimburse you the value of a 5 year old stereo! (Maybe $100 if you’re lucky!) A replacement policy says go buy a NEW Stereo of like Brand, quality, features as the one that was stolen and we’ll give you the money to buy it brand new! Q: What if my child accidentally breaks a neighbor’s window? A: A renters policy covers property damage caused by you or your family members (up to the policy limits.) This family coverage is automatic in most renters policies. Q: How can I determine how much insurance I need? A: Add up the dollar value of everything you own in your home. Clothing, furniture, television, stereo equipment, computers, kitchen utensils, etc. What would it cost Brand New if you had to replace everything? Most companies have a calculator to help you get in the ball park, but ultimately, it is your responsibility to determine how much you need. Finally, as a Renter, you face many of the same risks as a homeowner. Some renter’s think they can never be sued as they don’t Own the property. What if you are out playing golf or softball with friends and someone gets hit with a ball? (either bodily injury and/or property damage) The liability of a renters policy will defend you and pay any damages up to the limit that you choose.